EL PASO, TX – ScottHulse Law Firm welcomed students from UTEP’s Law School Preparatory Institute to the Firm for its annual law firm tour and lunch on June 20, 2018. 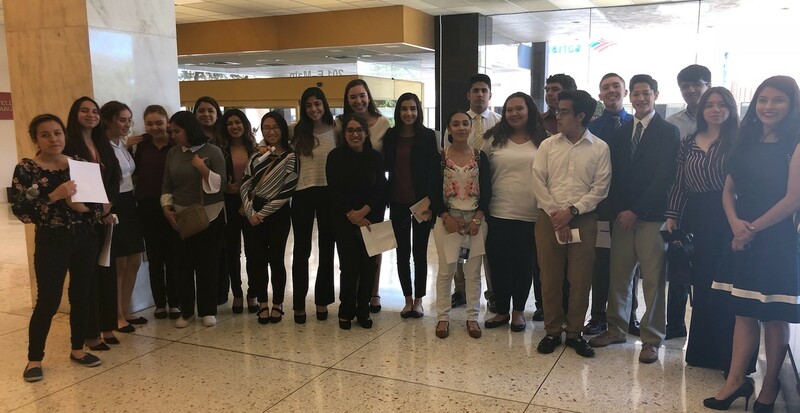 These high school students received invaluable advice and information from several teams of ScottHulse lawyers on what it takes to pursue a legal career and gained valuable insight about the practice of law. It is truly a great experience for these students to get first-hand information from a law firm with such a rich, 129-year history in the Southwest region and an honor for the firm to participate in such a dynamic program. The featured speakers were attorneys Andrew Velasquez, Lauren Serrano, Andrea Moran, David Hansen, Jimmy Feuille, Rosemary Marin and Blake Downey.